Instant Pot Chicken and Dumplings - WCW Week 55 - Recipes That Crock! 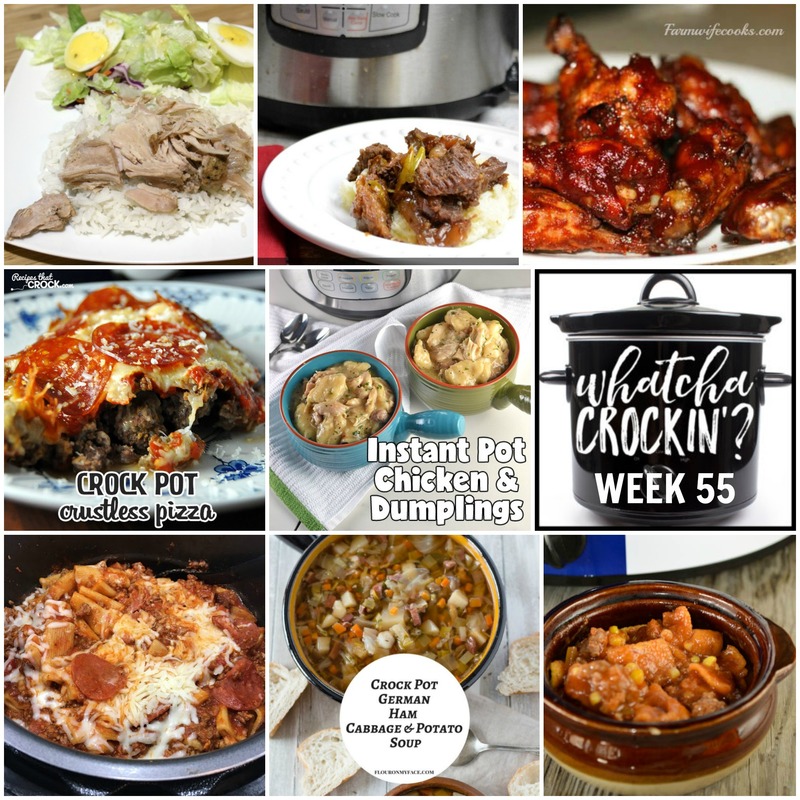 This week’s Whatcha Crockin’ crock pot recipes include Instant Pot Chicken and Dumplings, Dr. Pepper Crockpot Roast with Pork, Crock Pot Ham Cabbage Potato Soup, Crock Pot Crustless Pizza, Sticky Chicken Wings, Instant Pot Butter Beef and Easy Crock Pot Taco Soup. Welcome to week 55 of Whatcha Crockin’ link ups with our blogging friends!!! We are are so grateful to all the bloggers that link up their delicious crock pot recipes each week, and for our great co-hosts – Megan, Leah and Liz. We are excited to be back this week with some crock pot recipes you don’t want to miss from around the blogosphere. So let’s get crockin’! Thanks so much for featuring our Instant Pot Chicken & Noodles! 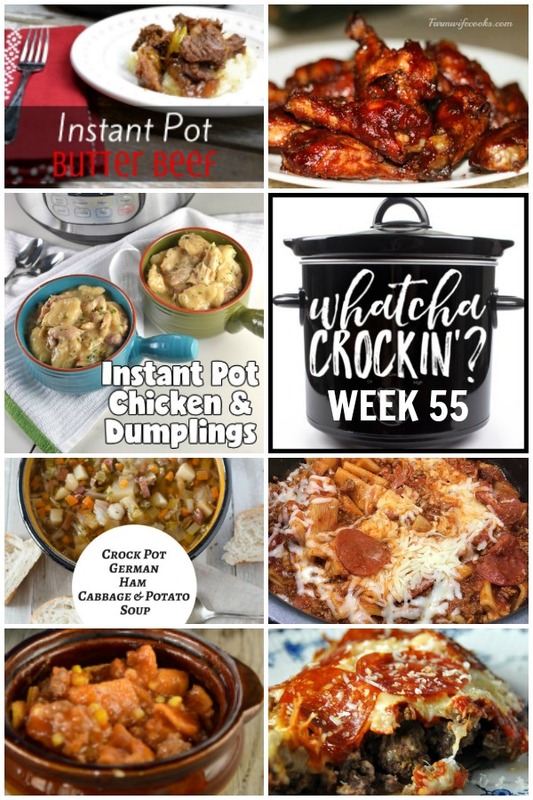 I love seeing how creative everyone is in their slow cookers every week!